David Donahue keeps things subtle with this cufflink and stud set shaped after simple French knots. 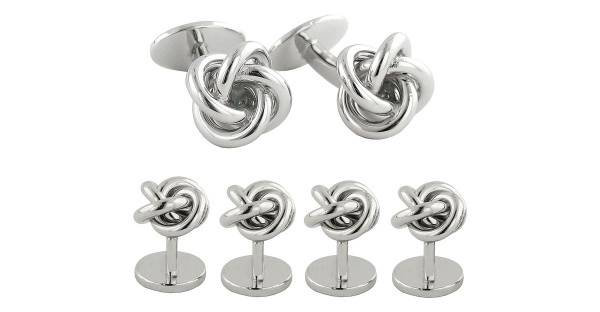 Though modeled on the humble silk French knot, these studs are done up in sterling silver, and crafted in the USA. A wonderful addition, you can find the set online now. This entry was posted in Accessories, Black Tie, Cufflinks and tagged David Donahue, USA. Bookmark the permalink.